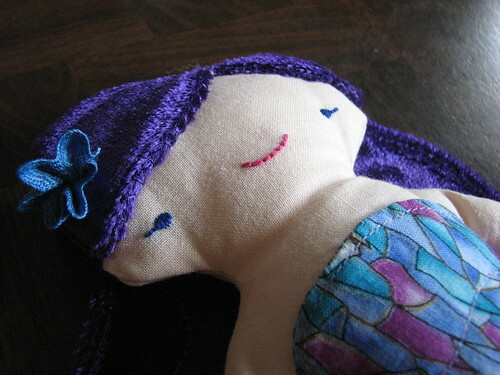 This weekend I went to a three-year-old’s birthday party, and it was the perfect opportunity to bust out Wee Wonderfuls: 24 Dolls to Sew and Love. I was super excited to get this book ever since before it came out. I finally got it as a gift this past Christmas, but this was the first project I have attempted from it. My kids love looking through that pages in the book, so I let them pick out the doll they thought their friend would like best. 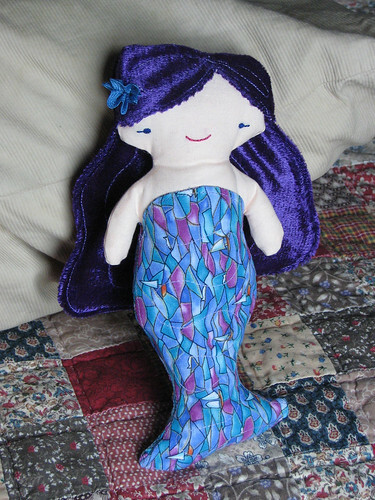 Thankfully, they picked what looks like one of the easiest projects in the book!If you have never made a doll before, I recommend this one as a good place to start. And it’s quick, too. I did enlarge the pattern a little, since the original seemed a little mini to me. 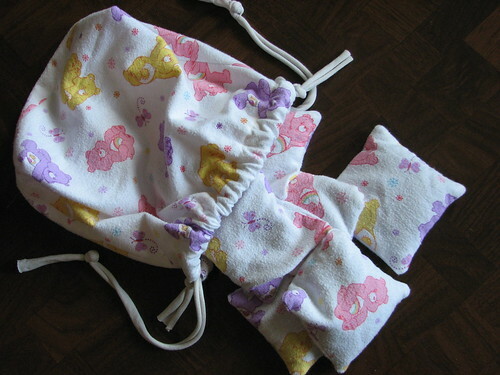 I used this tutorial from Made to make Hobo Sack – super cute. Then I used the leftover fabric to make some bean bags, which I stuffed with lentils. The lentils were the most expensive part of this project. I love thrift.